Your Favourite Story were tasked with presenting some ideas for the smart UK website refresh. 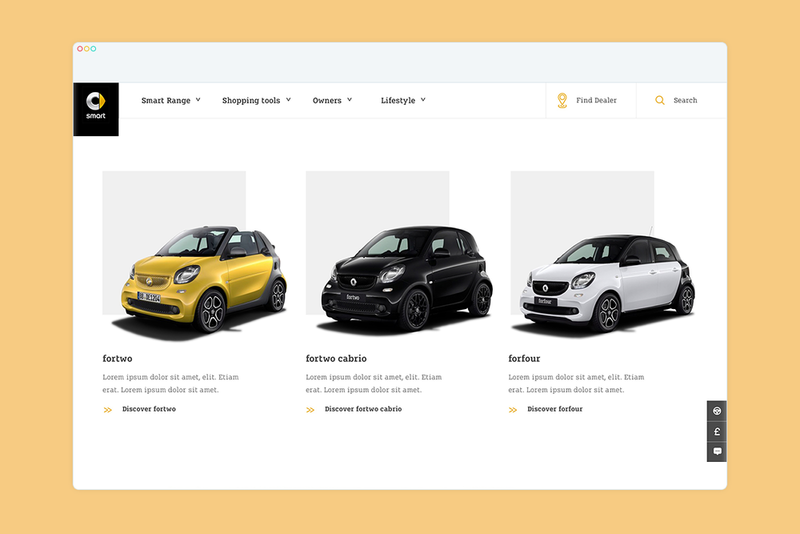 Since our user testing showed that prospective smart customers are all drawn to the brand because of the way the car looks, our objective was to position smart as a fashionable vehicle for wheeling around town. Our user journeys showed that all three personas were very focused on the appearance of the vehicle.